Alta Mira is another South Tempe neighborhood we like a lot. This awesome location is near the 101 loop for convenient freeway access, and it’s right around the corner from a grocery store, restaurants, coffee shops, drug store, salons, a gym and much more! The Alta Mira neighborhood has multiple phases with a total of 358 single family homes built between 1981 and 1994. They average 2,439 square feet with an 11,337 square foot lot size. Most homes are single story (276) and 88% of them have pools. Also, especially attractive are the neighborhood schools! Alta Mira kids can go to some of the best Kyrene and Tempe schools. The highly rated schools are a huge perk! Kyrene del Cielo Elementary School, Aprende Middle School and Corona del Sol High School are close by and are all highly rated. You’ll find some very nice homes in this desirable area and the ample lot sizes provide all sorts of outdoor options. 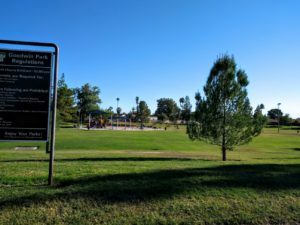 Additionally the huge 5 acre neighborhood park has basketball courts, bar-b-que grills, picnic tables, a playground and a soccer field. There are also many community events held throughout the year like the Spring picnic, Fall picnic, and community garage sale in this non-HOA neighborhood! Check out their neighborhood Facebook page. Following is a map of the Alta Mira community. Here’s a photo of Goodwin Park located in the neighborhood. It’s a really nice community park! See below for a list of the current homes for sale in Alta Mira. 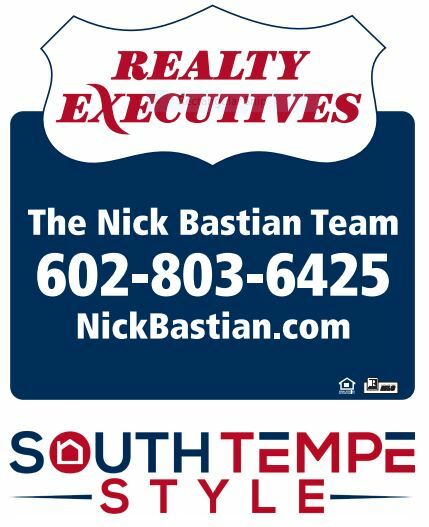 If you would like to live in the area or have a home that you would like to sell, call The Nick Bastian Team at 602-803-6425. We live, work and play in the area and w’d love to help!